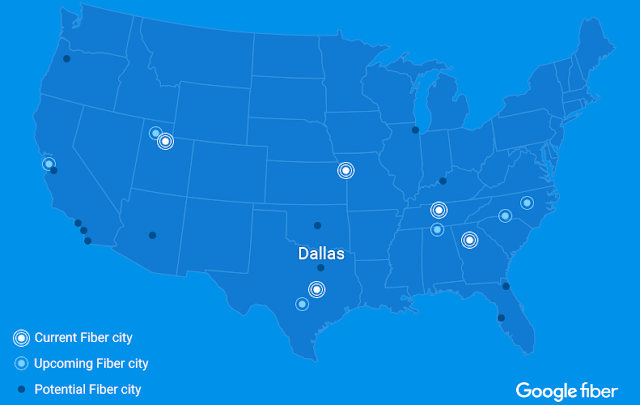 , and paired fellows with community organizations to help build digital inclusion programs in Google Fiber cities. From leading digital literacy courses to training volunteers, fellows have been hard at work over the past 9 months helping to close the digital divide in their communities. Just last month, Susan Reaves, a fellow at the Nashville Public Library, led computer basics courses for 76 people, and trained 7 volunteers who can now help run courses of their own. We want more fellows like Susan to help people take advantage of the Web. 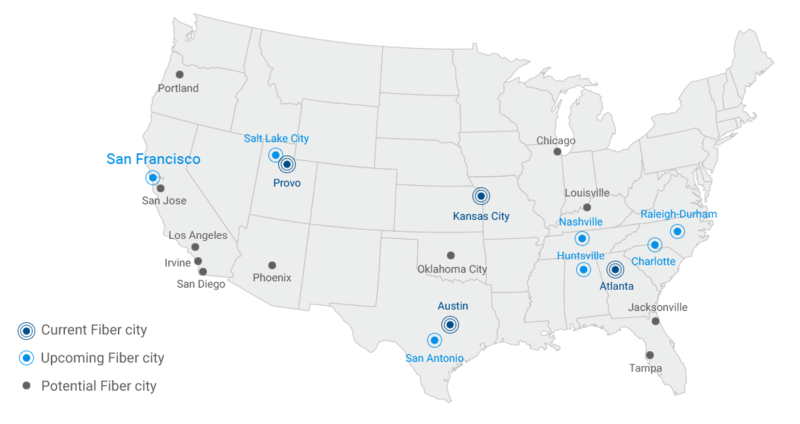 Applications are now open for 22 fellowship positions in community based organizations across 11 cities, including three new cities: Portland, OR, San Antonio, TX, and San Francisco, CA. To join the growing community of digital inclusion practitioners, apply to the fellowship now through May 13, 2016. 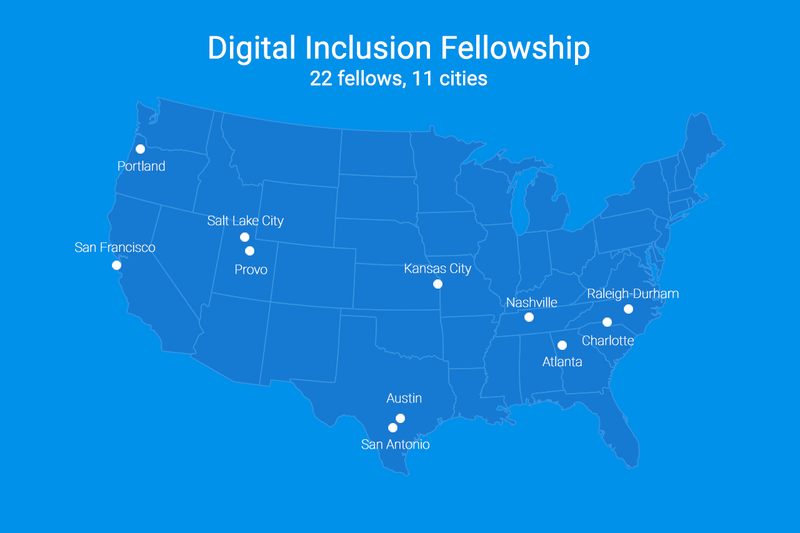 Last year, we introduced the Digital Inclusion Fellowship, and paired fellows with community organizations to help build digital inclusion programs in Google Fiber cities. 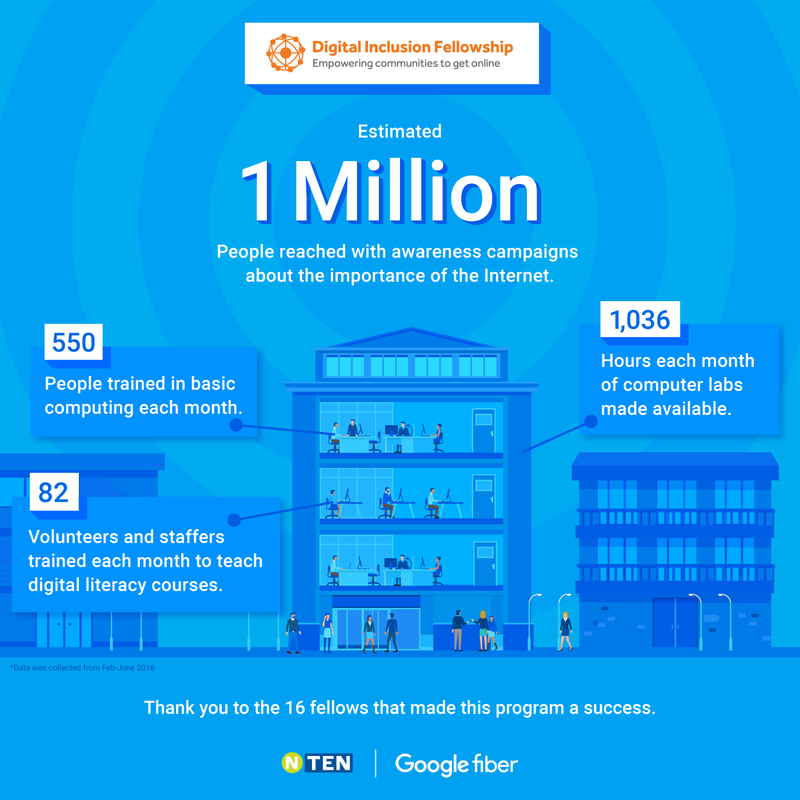 From leading digital literacy courses to training volunteers, fellows have been hard at work over the past 9 months helping to close the digital divide in their communities. Just last month, Susan Reaves, a fellow at the Nashville Public Library, led computer basics courses for 76 people, and trained 7 volunteers who can now help run courses of their own. 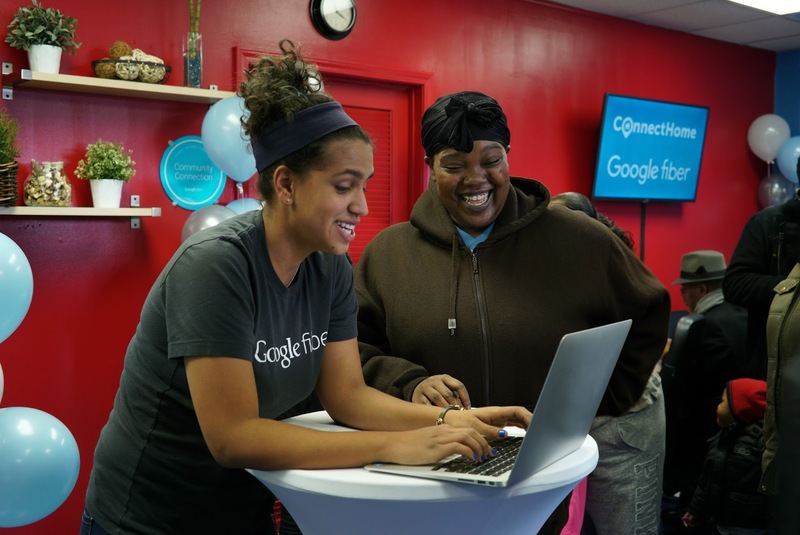 We want more fellows like Susan to help people take advantage of the Web. of Americans still do not subscribe to home broadband, while half of the nation’s households in the lowest income tier do not subscribe. 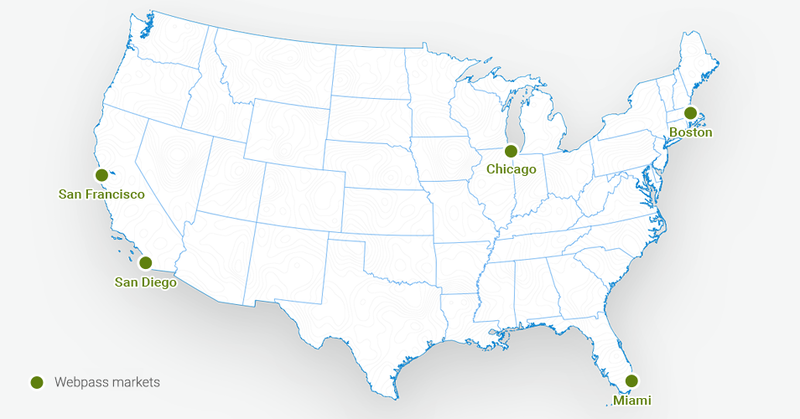 For many families, affordability remains one of the primary barriers to getting online at home. Improving access to affordable broadband has always been part of Google Fiber’s DNA—our digital inclusion efforts and community impact work are a central part of our ongoing efforts to help bring fast Internet to more people. Regardless of income, everyone should be able to experience the benefits of high speed connectivity. For the first time, low-income consumers can apply the $9.25 Lifeline subsidy to lower the cost of qualifying broadband plans. 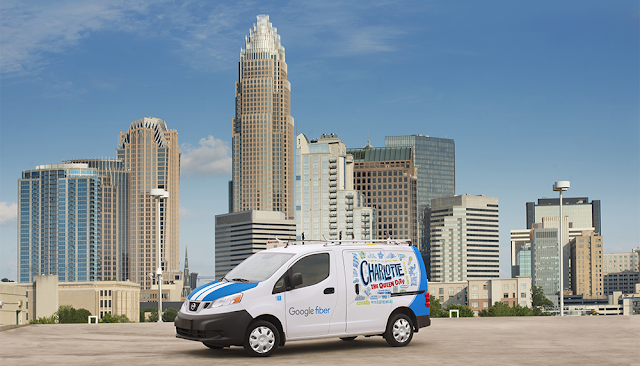 Now consumers have the opportunity to use their benefit to reduce the cost of subscribing to broadband Internet—not just voice service—so people can choose the connectivity services that meet their needs. Importantly, the FCC’s reforms also shift the responsibility for determining consumer eligibility out of the hands of the carriers that currently receive subsidies and to a National Eligibility Verifier. As described in the FCC’s statements, the independent third party verifier will make eligibility determinations using data from existing trusted programs such as Medicaid and the Supplemental Nutrition Assistance Program (SNAP), streamlining the income verification process. Shifting eligibility determinations away from the service provider has two benefits. First, subscribers can take their benefits with them to a different provider or new address, leading to more consumer choice. Second, because the eligibility determination is based on existing trusted data, it can better protect consumer privacy and security and bring more dignity to the process. 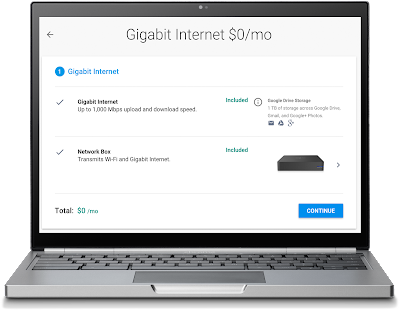 Families with low incomes increasingly choose not to purchase home broadband because it just isn’t affordable—these and many of the other changes that the FCC has voted on go a long way to address this critical problem. 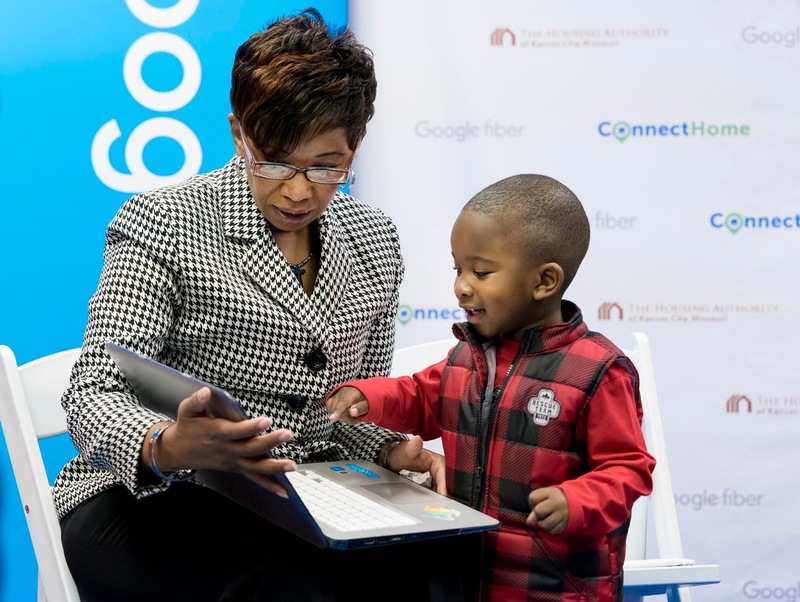 Broadband access truly makes a difference in people’s lives, bringing economic, social, and educational opportunities to those who are online. Yet more than a third of Americans still do not subscribe to home broadband, while half of the nation’s households in the lowest income tier do not subscribe. For many families, affordability remains one of the primary barriers to getting online at home.